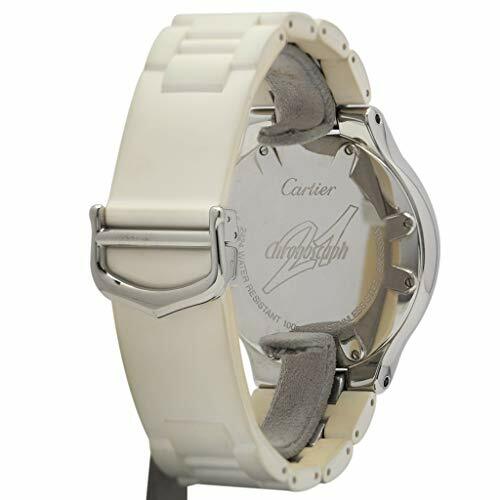 Cartier Chronoscaph 21 Stainless Steel MX1020010 White Dial 3 Subdials Date White Roman Numerals On Bezel Quartz Chronograph Stainless Steel White Rubber Bracelet With Deployant Buckle Comes With CJ Charles Box Fully Insured Priority Overnight Shipping Established in 1988, located in La Jolla, California. 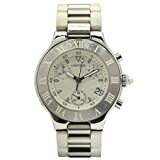 CJ Charles Jewelers is an authorized dealer for the world's finest watches such as Officine Panerai, Patek Philippe, A. Lange & Söhne, Cartier, Jaeger-LeCoultre, IWC, and Bulgari. 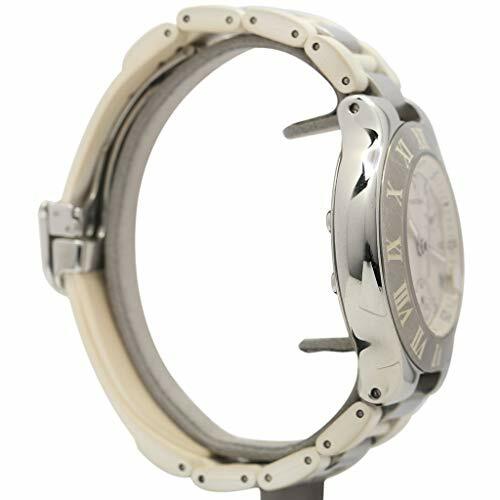 Our on site service center is staffed by expert watchmakers. 100% Authentic items only. 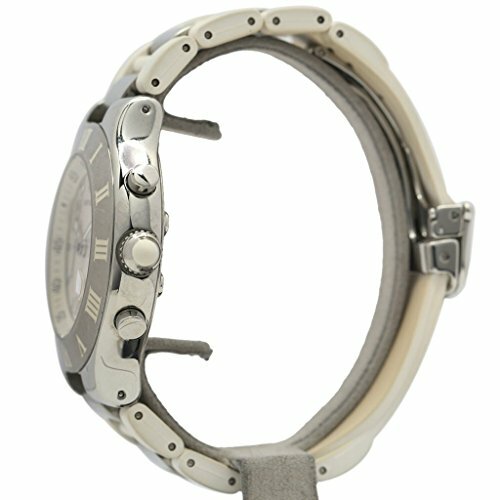 Certified Pre-Owned Watches. 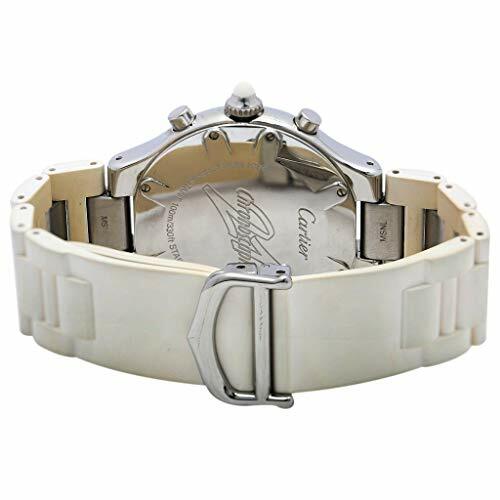 All certified pre-owned watches are rigorously examined before sale. 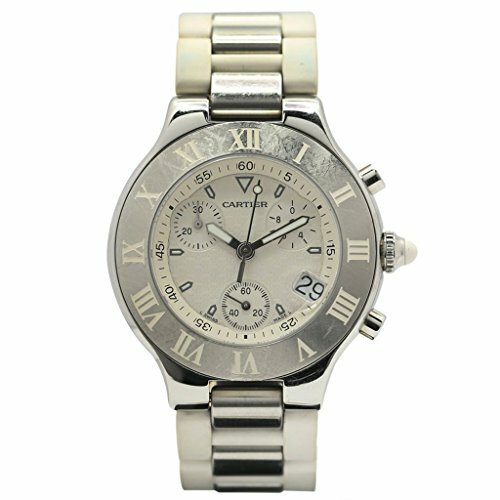 CJ Charles Jewelers guarantees all previously owned watches for authenticity. 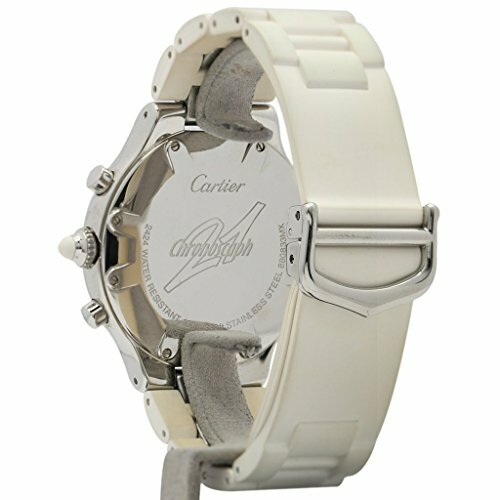 All watches come with a 12 month CJ Charles guarantee. Please Message Us On Amazon If You Would Like To Make An Offer. We Will Simply Accept It, Counter It, or Reject It. 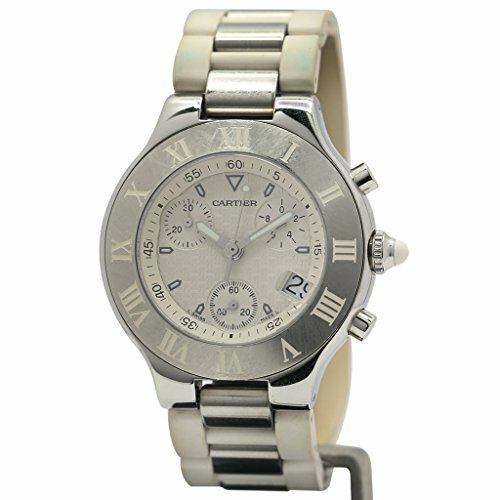 CJ Charles Jewelers Is A Authorized Cartier Dealer, So You Absolutely Know You're Getting A Great Watch!